Dismantle in the expanse the hosts of thoughts of existence and nonexistence. Break down all apprehension of a self or selflessness. Learned ones hold this as realization of the consequentialist view. The pacification of the hosts of thoughts in their own place is supreme meditation. 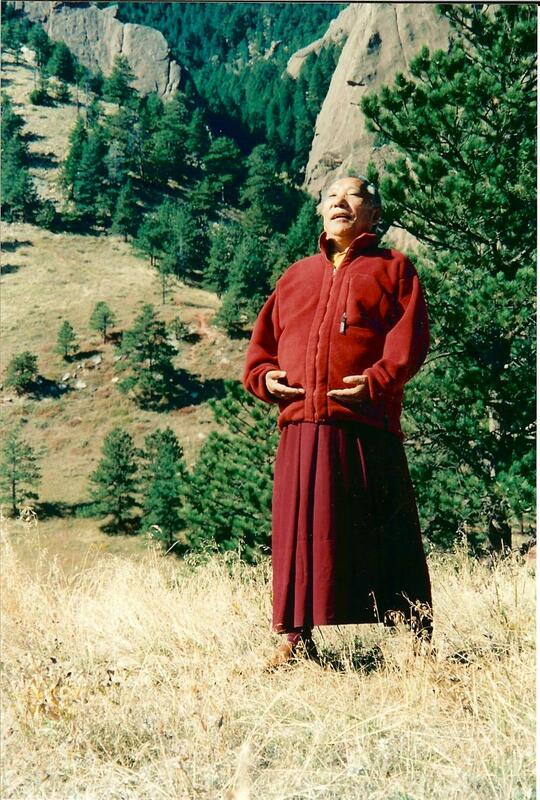 At the Dzogchen Palace of Appearance-Emptiness, Sherab Lodro [Khenpo Tsultrim Gyamtso Rinpoche] spoke this extemporaneously, whereupon Dzogchen Ponlop Rinpoche immediately wrote it down. Translated under the direction of Dzogchen Ponlop Rinpoche by Tyler Dewar of the Nitartha Translation Network, 2002.